Individual programmes are for committed athletes ready to achieve their performance goals. This may be to complete a Sprint distance triathlon or to earn a coveted spot at the IRONMAN World Championships. Your goals are important to us. Getting on Plan B with us means starting a new relationship with one of our coaches. We go the distance to build training plans tailored to your schedule, using the facilities and equipment most convenient for you. This may mean sneaking off for a short run at lunch, or waking up a little earlier to blast out a session on the bike trainer. With Plan B, you will learn how to make the most of your training time. Every session on your plan targets the most specific system (or systems) needed to raise your game. By building the training around your current life, athletes juggling the demands of career and/ or family will find themselves able to train more consistently and posting better results. We take the guesswork out of your training so that you know each session ticked off, is a step in the right direction. Guide you in nailing your nutrition, recovery, efforts levels and other important peripheries. 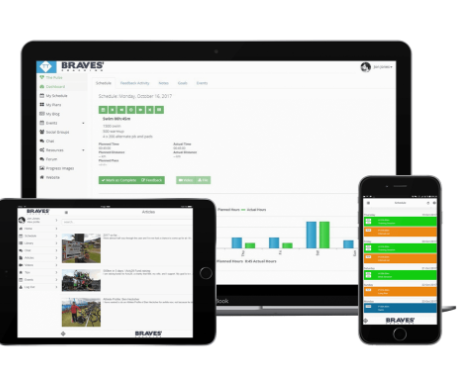 Our plans are built on the Training Tilt platform which allows you to access your plan on the go and provide immediate feedback. Find out how it works by submitting an Athlete Profile Form or drop us an email to arrange a chat.